Plans to close a special needs school in Monmouthshire are facing opposition from local people and councillors. Council bosses say Mounton House School in Pwllmeyric does not cater for enough children with additional learning needs - just boys aged 11 to 16. They also say declining numbers of pupils mean the cost of placements is rising to £114,000 per child. Supporters of the school said it had "enormous potential" and could help youngsters from a wider age range. A plan to expand the provision on offer last year was abandoned when it was estimated to cost about £6.4m. Strong opposition has been expressed to closing the school, near Chepstow, and more than 2,200 people signed a petition against the plan, according to the Local Democracy Reporting Service. Councillors on Monmouthshire's children and young people select committee also voiced their opposition to the plan on Friday. Louise Brown, a Conservative councillor who lives in Pwllmeyric, said there was "strong support" in the community for the school. "It deals with children who can't operate successfully in a mainstream setting and who have challenging behaviour," she said. "The staff there are totally committed and they turn those children's lives around." Beverly Randall, head teacher at Mounton House, said she hoped alternative plans could be made so the school could meet the needs of Monmouthshire pupils. Councillor Tudor Thomas, a Labour member from Abergavenny, said he was concerned about the impact of the closure on staff as well as pupils. He added: "We are saying £6m is too much but this authority a couple of weeks ago spent £21m buying a retail and leisure park in Newport." Will McLean, chief officer of children and young people at the council, said the decision to consult on closing the school had not been taken lightly, but he insisted it was the right time to ask the question. 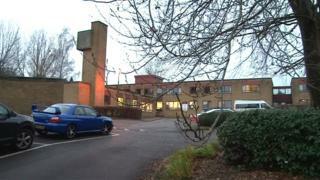 Monmouthshire's Conservative cabinet is due to make a decision on the school's future in June.